Novell’s deal with Microsoft may be good for Novell in some senses, but it is also very bad to Novell’s suppliers, which is turn will cost it dearly. Novell alienated itself by sidling with Microsoft against other Linux companies, notable Red Hat. 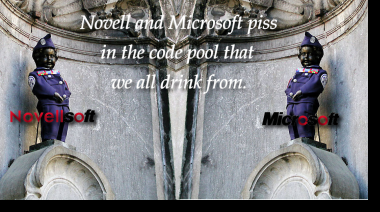 We have already seen Novell helping Microsoft gain some ground in supercomputers, 'advertising' Vista and so on. “Another good example of Novell’s harmful role involved virtualisation.”Another good example of Novell’s harmful role involved virtualisation. We have seen this coming for a long time and mentioned Hyper-V’s discrimination factor in the past [1, 2]. To an extent, XenSource (Citrix) plays a similar role [1, 2]. Wednesday, Microsoft said Hyper-V beta for Windows Server 2008 is feature complete. Included in the list of operating systems supported are Windows Server 2003 SP2, Novell SUSE Linux Enterprise Server 10 SP1, Windows Vista SP1 (x86), and Windows XP SP3 (x86). See John Fontana’s article for more details about the Hyper-V RC announcement. Though I’m anxious for Hyper-V to be released, especially the standalone version (which is not what this RC announcement was about), I’m very disappointed in Hyper-V’s lack of support for Linux. No offense to SUSE Enterprise Server crowd, but only providing SUSE support in Hyper-V is a huge mistake. By not supporting Red Hat, Fedora, CentOS, and BSD, Microsoft is telling us Hyper-V is a Microsoft only technology. More Mt. Redmond, Microsoft center of the universe thinking. That’s disappointing. Might this be a proper time to complain to the EU? It is abundantly clear, as we foresaw before, that Microsoft will try to pressure rivals into unwanted deals, using exclusion as an extortion card. Over a similar type of abuse, in the past few weeks we saw Opera and Phoenix complaining, resulting in limited success. In both cases, the EU pushed Microsoft into a complaince route, although it was not entirely reasonable. In Google’s case (almost a year ago), it was far from reasonable because the US Department of Justice is far too close to Microsoft. TrueCrypt might be next to complain. To get an idea of how close Microsoft and Novell are gradually becoming, read this additional short report. However, Hyper-V’s Linux support is limited to SUSE. That’s no surprise, given Microsoft’s relationship with Novell, but more users have Red Hat, and other distributions. They won’t be able to use Microsoft’s virtualisation technology – though to be fair, they will probably be more interested in VMWare or Red Hat’s own virtualisation technology. “We’re pleased with Hyper-V,” says Justin Steinman, director of Linux marketing at Novell. “SUSE Linux is a first class guest on Microsoft Windows Server.” Microsoft’s Steve Ballmer has shown SUSE Linux running as a guest, which was “cool”, said Steinman. Love is in the air. Can you smell it too? In other semi-related news, yet another set of reports about Eclipse reveals a mixed bag. It covers Sam Ramji’s talk. There is skepticism from Eclipse developers who are being wooed by Microsoft. We warned about it before [1, 2, 3, 4, 5, 6]. On the face of it, Microsoft will continue to stick its fingers in the Eclipse pie. The Eclipse Foundation looks destined to remain a mistress to Microsoft and Sun Microsystems – while the platform is married to IBM. Thanks. Please help by posting.There are so many dirty tricks to keep track of and so little time. About Novell’s hypercalls, you’ve kept a closer eye than I did on this. You also gave Novell some spanking over this in their PR blog. Novell is happy with Hiper-V…. We had the moonlight debacle, the OOXML debacle and now this, yet there are still people who ignored the issue, I just hope this hiper-v thing wakes people up. Every Novell/SuSE Linux box sold will put money directly into M$ pocket. Novell/SuSE is M$ version of Linux. Thanks, Victor. I quoted exactly the same bit above and gave two more prior examples. These include Novell’s help for Microsoft Windows in HPC and even marketing. Then there’s Silverlight indeed, among so many other things. Novell and Microsoft do mutual favours and thrive in exclusion (as in “if you’re not with me, then you’re against me”). Unless you’re a Noveller, you cannot trust Novell. I believe we will see much better examples of this in years to come. See the links to Shane’s old pieces of analysis. He saw that coming before everyone else. You can try to help by supporting Bruce. Novell is also a major funding source in the Linux Foundation. It’s a trapdoor for Microsoft to have influence on Linux, which Novell helps it make a cash cow. 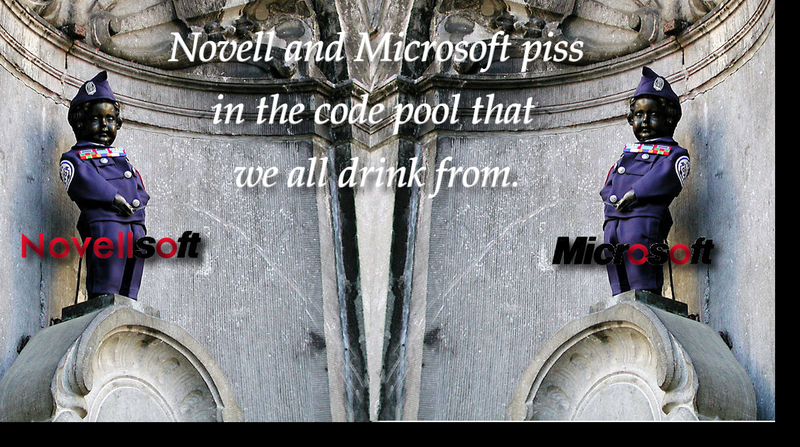 Novell’s Linux isn’t truly a a property of Microsoft and probably never will be. To Microsoft, it’s mainly about control. It’s about controlling the price and capabilities of rival products, e.g. making them subjected to “Microsoft tax” and incompatible with virtualisation technology on Server 2008. The key word here is control. 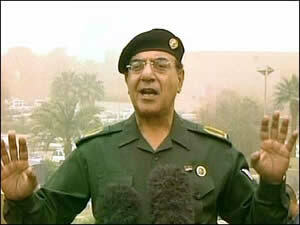 Microsoft: everything is under control. Wow. Thanks for the headsup. I’ll post about it shortly. Sorry Roy, I don’t know how I managed to miss that you have already commented about that article in this post. Hey, no worries. I had to carefully rewrite my words just to ensure it’s seen as polite. There’s no reason to worry about not having other flavors of Linux on Hyper-V. There’s other hypervisors out there that are plenty capable of running Linux (VMware, Xen). If MS doesn’t want to support Linux on their hypervisor, who cares? Those whose datacentres may have Hyper-V due to ‘convenience’/preinstallations/bundle deals. Not everyone gets to choose the technology. Remember Netscape?